Jonathan Rose » Was the Demise of Electoral Reform Inevitable? 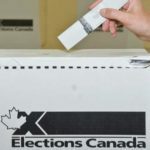 Was the Demise of Electoral Reform Inevitable? After answering, more than a few times, what I thought of the prime minister’s decision to abandon electoral reform, I decided to put my thoughts to paper. Some tentative reasons for the demise of electoral reform were published in the Ottawa Citizen on February 3.